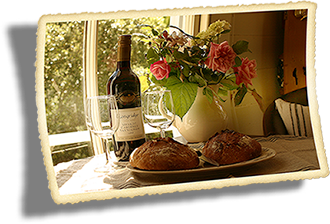 If you are visiting Napier and want to stay close to town, but away from the crowd, we invite you to come and stay with Bluff Hill Bed & Breakfast. We are situated in a sheltered place in the middle of the Bluff Hill Domain, a green and quiet reserve named Sturm’s Gully. No truck or industrial noise, only the tweeting of the native birds, like Tui, Bellbirds and Wood-pigeons, in the morning. From our garden you can have a nice short walk through Sturm’s Gully up to Bluff Hill Lookout where you can enjoy a beautiful view across the sea and port. Or you can have a short walk to either Napier CBD or to Ahuriri, a historic fishing village. Although the cottage is renovated in a 1900's style, the amenities are a reflection of the modern times. 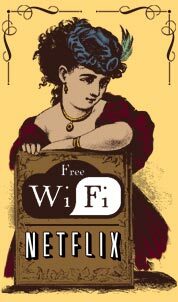 You can enjoy free WIFI, a 48" flat screen smart TV with Netflix, and a vintage internet radio. The kitchenette has a fridge, coffee/tea and chocolate making facilities, a kettle and a toaster.